Ice Maker Repair in Seattle. Is your ice maker leaking, making noise or no longer making ice? 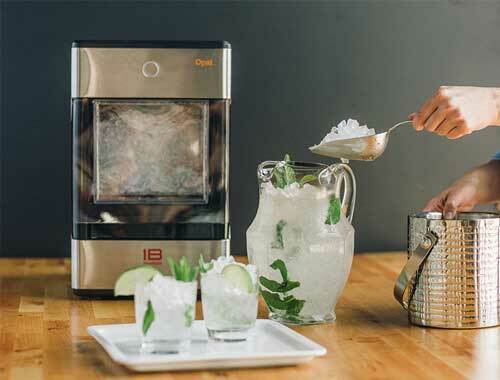 We see failed ice makers from all brands, and we’ll repair or replace yours based on what is wrong with it. One of our professional technicians will quickly diagnose the issues and let you know your options. In all cases, we provide written estimates for Seattle ice maker repair before any work is started. Seattle Appliance Repair trucks are fully stocked with most parts, so we’re able to handle ice maker repair in Seattle on the first visit, in most cases. Call us today…help is on the way! We repair every appliance in your home: refrigerator, dishwasher, stove, range, cooktop, compactor, clothes washer, clothes dryer and more! Our technicians are trained to repair all brands too: GE, Samsung, LG, Kenmore, Whirlpool, Bosch, Jenn-Air, KitchenAid, Viking, Sub-Zero, Maytag, Magic Chef, Asko and many more. Our Service Area Includes Your City! Our trucks travel throughout King County and into Snohomish and Pierce Counties too. We cover Seattle and all suburbs from Seattle, Kent, Federal Way to Everett. When you contact us, we respond promptly with great customer service. You’ll receive a written estimate, same-day repairs in most cases and a written warranty on the work we do. Call us today, and we’ll be on the way with the best Seattle appliance repair!